Emerging copper developer Hot Chili (ASX: HCH) is scaling up its prospectivity in Chile, starting drilling at two new projects that have seen little exploration in 50 years. RESOURCEStocks: First drilling has just got underway at your El Fuego copper project (90% option), starting with the San Antonio then Valentina mining areas. Can you outline why you've described San Antonio as a "potential game changer" for Hot Chili? Christian Easterday: We have consolidated three high-grade mining areas that comprise our new El Fuego copper project in Chile. All three copper mines have significant potential to define high-grade copper resources within trucking distance of Productora, however it is the scale of San Antonio that would be a game changer if successful results are returned. The deposit footprint is now demonstrated over 1km in strike length and the mine has historically produced some two million tonnes grading 2% copper and 0.3g/t gold from surface. Given its shallow depth of development, it has the hallmarks of something that could be a substantial addition to our targeted production hub centred around Productora. RS: What are your initial focus areas for the new exploration programme? CE: We aim to systematically and methodically drill test each of the three high grade mining areas, starting with San Antonio where RC drilling commenced in early June. The programme will comprise approximately 4,000m and will also include a few initial holes at Valentina where historical drilling recorded an end of hole intercept of 11m grading 2% copper at 120m depth down hole. Lulu will be scheduled for a second campaign of drilling following this initial drilling. RS: What is the impact of the current lease mining arrangements at El Fuego? CE: As part of our four-year option deal over San Antonio, we have allowed the owner to continue to derive income from lease mining activities which has provided unrivalled access and understanding of the deposit. Lease mining activities are capped at 50,000 tonnes per annum during the option period and we have no payments or expenditure commitments in the first three years of the option. It is an approach which has added great value to our exploration efforts already. RS: The company finalised its 90% option over the Valentina landholding (part of El Fuego) earlier this month which has helped provide "critical mass". Are you looking to grow your project area further or will exploration be the key focus in coming months? CE: Valentina was the third deal secured in our consolidation efforts around Productora. We have been very active in assessing numerous opportunities and this will continue to be a focus while we get underway with our initial drilling campaigns at El Fuego. We are looking to consolidate an expanded and long-life production centre feeding from multiple ore sources. RS: How do you view El Fuego in relation to your current flagship project, Productora? CE: The new consolidated El Fuego project represents Hot Chili's push to outline an inventory of high grade ore blend sources for Productora. Success would unlock large value, with the potential to increase metal output (already 10 years mine life at 66kt copper and 25koz gold annually) in combination with increased margins and lower operating costs. 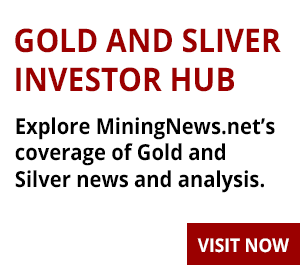 RS: Turning now to Productora (80%-owned) - which has an ore reserve of 166.9 million tonnes for 0.72Mt of contained copper and 470,000 ounces of gold; and a PFS indicating a 10-year mine life with an average annual EBITDA of US$185 million at a $3/lb copper price. What optimisation work is underway, what triggers are you looking for and what timeframe are you working towards? CE: We are focussed on demonstrating high grade growth and mine life extensions in advance of" green-lighting" our planned definitive feasibility at Productora. We have a number of optimisation opportunities at Productora, however we recognise the greatest opportunity lies in the impact that high grade blending and mine life extension will have on the economics. It will give Productora a commanding position amongst the few advanced large-scale global copper developments and is key to ensuring the project is insulated against commodity price fluctuations over the long term. RS: Hot Chili completed the first tranche of an A$4 million placement last month, which was backed by existing major shareholders Sprott-affiliated Exploration Capital Partners and Blue Spec Drilling, an associate of chairman Murray Black. What factors do you think are generating support for the company ahead of other copper hopefuls? CE: Hot Chili is one of the largest copper developers on the ASX. We have significant asset backing which is trading at a heavy discount to the projects current NPV at US$3/lb copper (US$220 million). However, we are now once again in a +US$3/lb copper price environment where large-scale assets are heavily leveraged to the upside. That combined with our acquisitions and a new pipeline of very exciting high grade drilling opportunities, are some very immediate triggers for a potential re-rate of the company. We were very heavily oversubscribed in our last capital raising and that is a testament to what I have discussed, but also to an increased level of market attention with investors now beginning to re-look at copper developers. We have seen increased M&A activity in our sector at a time where there are not many avenues to gain exposure to copper. I expect copper equities will gain increasing attention over the coming 12 to 24 months given the emergence of expected supply deficit conditions. RS: Why the plan to dual-list on the TSX Venture Exchange and how this is progressing? CE: We plan to dove-tail any future TSXV dual listing together with growth milestones the company is working towards against a backdrop of appropriate market conditions. We have a growing North American shareholder base through Sprott and our large-scale Chilean copper assets are aligned with the North American market - so it makes sense but only at the right time. RS: Finally, you've just returned from Chile, what were your key take-aways from this trip? CE: I was able to be in the field overseeing the commencement of drilling activities at San Antonio. I am very excited to see the commencement of a new phase of Hot Chili's growth and no doubt our shareholders can look forward to a strong flow of news over the coming months ahead.